Sanofi has decided not to close its research facility in Toulouse after pressure from the French government, saving a proportion of the jobs under threat at least in the short term. The pharma company caused dismay in France last year when it announced the closure of the plant, along with a plan to cut 900 research jobs nationwide, as part of an overhaul of its R&D network. Half of all the company's R&D staff worldwide is based in France. The change in position on the Toulouse facility comes in the wake of a government report which, while acknowledging that Sanofi needs to address "structural weaknesses", suggests this can be achieved while retaining the site. The government suggests 500 of the 612 staff currently working in Toulouse could be retained under the proposals, although Sanofi has not committed to any target on job retention. Over the next years, Sanofi will explore a number of options for the facility, including the creation of a "technological platform" at Toulouse that would provide services for Sanofi and other pharma companies; the spin-off of promising therapeutics; and the establishment of local start-up companies. In a statement, Sanofi makes a commitment to "accompany the transition of these new autonomous structures, while respecting tradition and social practices". 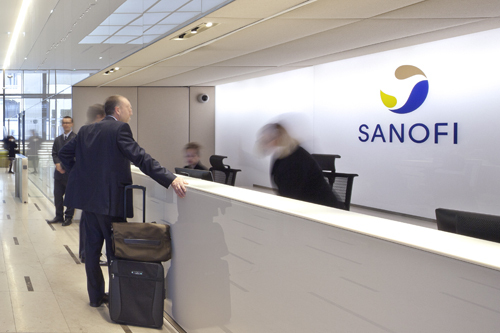 Sanofi wants to keep its R&D spend at under €5bn a year, bringing down internal costs in order to free up resources to invest in external partnerships and late-stage clinical projects. Earlier this year, Sanofi's R&D chief Elias Zerhouni said that what was needed is a completely different operating model for R&D, relying more on open innovation, for example, and applying a translational research approach more fully in internal research projects. The company has been hiring top scientists to help guide the process in recent months, for example appointing former US Vaccine Research Centre (VRC) director Gary Nabel as chief scientific officer and head of the firm's strategy council. Sanofi needs its R&D operations to increase productivity as it copes with patent losses for big-selling drugs, such as Plavix (clopidogrel), and has already implemented a number of other downsizing measures, including the closure of a facility in the UK and the shedding of hundreds of jobs following its takeover of Genzyme in 2011. Sanofi has also said it will convert its Montpellier site into a strategic development unit, while anti-infectives research currently carried out at Toulouse will be transferred to its facility in Lyon.